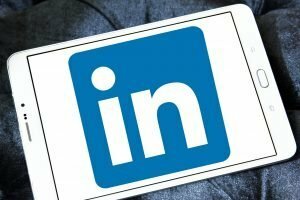 So, you got a great start on rockin’ your LinkedIn profile in the previous blog. Here are some more tips to continue to craft and polish. You have 2000 characters here—use them wisely. This should be your personal brand statement. Tell what you do, who you do it for, and how you do it. What do you stand for –and what makes you stand out from others in the same line of work? What problems do you solve? What’s the benefit to the employer? Here’s where you can show some personality. Are You Experienced? Show What You Did. This is the number 1 question potential employers want to know. So don’t just list your job title and employer. Include key accomplishments, special projects and their outcomes. Employers are looking for folks who get results. Use as much detail as possible to highlight your accomplishments and wins. Make your profile easier to find and share by customizing your LinkedIn URL to read: www.linkedin.com/your name. Then include this in your email signature, resume, business cards, etc. Ensure your email address is listed in the Contact Information section. You can also add your blog or personal website link, if you have one. You’d hate to get someone excited about you, and then they can’t contact you. Updating—and upgrading—your profile will not only keep you on recruiters’ radar, but will also keep you up to date with information and contacts in your field that you need to stay on the cutting edge.